This adventure will kill your party. The mists of Ravenloft ebb and flow, stealing away heroes and bringing them face to face with ancient evils. In some worlds, however, the fight is already lost. Enter Solace, a world devastated by an alien infection, and prepare yourself to make a simple choice. 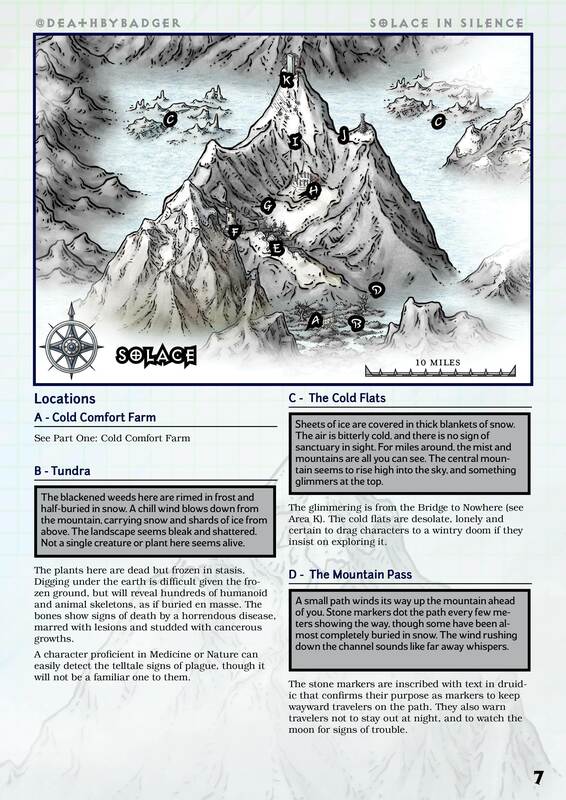 Enter Solace, a world buried in snow, and witness the work of evil run amok. Enter Solace, and answer a simple question - when the world is quiet, and no one is watching, who do I choose to be? 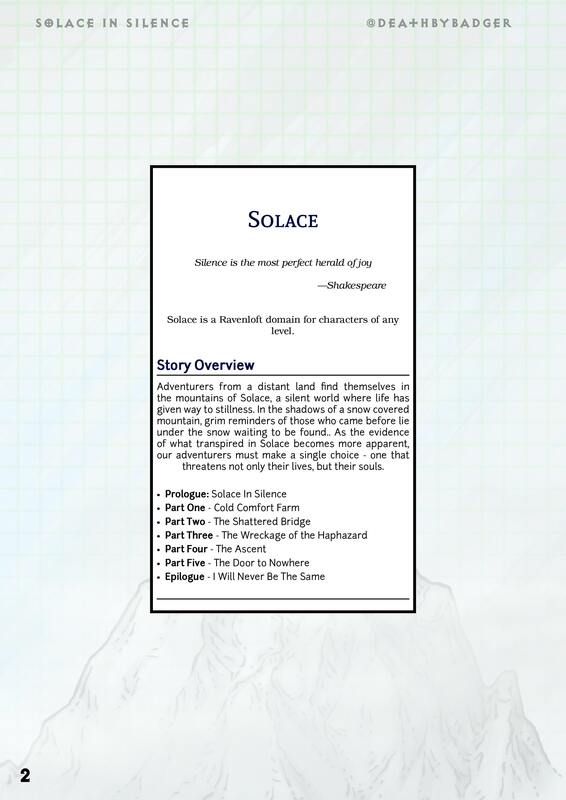 Silence in Solace is a Ravenloft one-shot adventure in five parts for 1-4 characters of any level. *It is set in an entirely new Ravenloft domain centered on a frozen mountain, and the narrative invokes themes of mystery, hard choices and existential horror. It can usually take anywhere between 2-6 hours to complete depending on the group. WIDOW'S PEAK - The Witch is Dead, and with her dying breath she withered the land, rendering it barren. The seaside village of Widow's Peak is a craven cesspit of curses and calumny. Can your characters find a way out before the whole place crumbles into the sea? A Ravenloft adventure module for characters of 5th level and above. This title was added to our catalog on July 01, 2018.